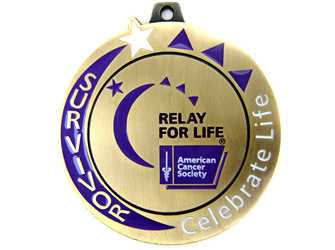 I was touched deeply to receive this medal at my first Relay for Life (American Cancer Society event) celebrating cancer survivorship – two years now! I really felt like a hero as I walked the track with other folk touched by cancer cheering me on. It was a true celebration of life and love.